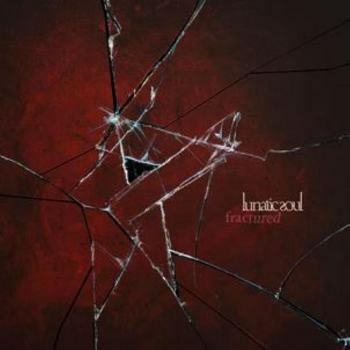 Fractured; is the fifth album by Lunatic Soul, I guess an introduction is redundant, for every decent progressive rock fan knows Lunatic Soul is the side/solo project of Riverside's main man Mariusz Duda. Personally I was pretty impressed by Lunatic Soul's first two albums and I wrote a review for II (2010, see review). Both albums that were released afterwards were quite spherical and although I did like Walking On A Flashlight Beam (2014, see review) very much the black and white ones still were the ones I preferred the most. Nevertheless, I do respect the musician's choice to take his compositions to whatever style he chooses, whether it is the one you prefer or not it's up to them. And to be clear, I totally cheer for those who experiment with different styles and don't stick to a “safe” comfortable style for so many years. Mariusz Duda 's Lunatic Soul is the ultimate outcome of Duda's deepest thoughts and feelings and Fractured's main theme is the way he came back to life after the tragedy that struck in 2016, becoming Mariusz most personal album so far. Fractured is totally recorded and performed by Duda, with the help of drummer Wawrzyniec Dramowicz, sax player Marcin Odyniec on three tracks and Sinfonietta Consonus orchestra on two songs. A special note on the album says there are no electric guitars nor female voice present on Fractured. Being a total guitar freak, Mariusz just made me utterly happy. But to be honest, I have listened to the album several times now and I don't even care if there are no electric guitars on the album, it holds some acoustic ones, but it totally highlights a wide variety of incredibly well played bass guitars. Still that's not the main course you get when you listen. The most notable shift this time is the way electronics have entered into the music. Making Fractured an 80s electronics influenced album. A bit like Steven Wilson's To The Bone (2017, see review) only much better. Listen to the album's opener; Blood On The Tightrope, a track that holds lots of danceable synth parts, electronic rhythms and a dead solid real drum underneath. The subtle piano parts and Mariusz magnificent vocals and signature bass laying create a recognizable, very pleasant atmosphere. Anymore continues in a similar style, emphasizing the eighties electronical style even more, including the high pitched background vocals. One of the most personal tracks; Crumbling Teeth And The Owl Eyes seems to have some similarities with Riverside, I guess due to the acoustic guitars used and the wonderful orchestrations. The midsections however very much differs from Mariusz's main band and turn the song into a real Lunatic Soul one. The guitar solo you might notice, seems to me as a heavily distorted piccolo bass btw. Emotional, subtle, painful perhaps, how to describe Red Light Escape? A brilliant song that holds, besides the great voice, very strong bass parts and a nice sax solo. Synthscapes; wow a new word, with delicate drums underneath lead to the well in front mixed bass parts during the title track Fractured. What stands out is that the vocals are part of the basics of the composition and not as usual, put in front of the mix. Here drum and bass are in charge. The second track that presents the orchestration is A Thousand Shards Of Heaven. When you listen to this song, close your eyes and let memories of Mariusz lost friend enter your brain. I know tears will take over. One word; brilliant! Purely electronics with a recognizable melody underneath is Battlefield; a delicate composition that slowly increases power, but remains at its electronic base. The album's final composition; Moving On enlightens the eighties music again, it's the signature bass sound that takes the music to the twenty-first century, combining two separate musical era's to one very pleasant sounding combustion invented by a Lunatic Soul. Fractured surely is a different kind of progressive rock than you might usually listen to, but the story behind the music, the wonderful combination of electronics; but still holding on to their own very recognizable sound, work brilliantly on this album. Fractured for me ensures Mariusz Duda of two successful bands. I wonder what the future will bring!